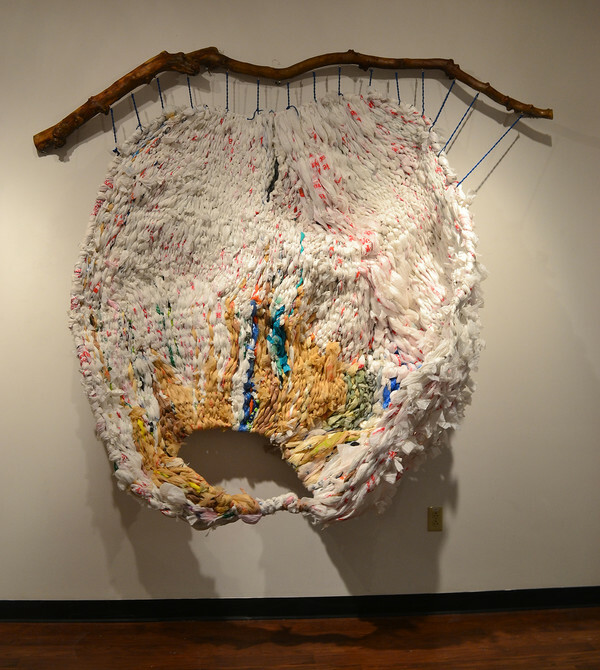 A new exhibition entitled "Plastic Entanglements: Ecology, Aesthetics, Materials," has opened at Penn State's Palmer Museum of Art and will run through June 17. 'Plastic Entanglements' examines the environmental impact of plastic and showcases sixty works such as drawings, photographs, video installations, and sculptures fabricated from found plastic. 'Plastic Entanglements' includes works and lectures by visual artist and Plastic Pollution Coalition CEO Dianna Cohen; artist and naturalist Mark Dion; and distinguished professor of art and PPC ambassador, Pam Longobardi, among others. Cohen's lecture “Rethink Plastics” will be held on Thursday, February 15, at 5:30 p.m. at the Palmer Center. The exhibit was curated by PPC ambassador Jennifer Wagner-Lawlor, professor of women’s, gender, and sexuality studies and English at Penn State; Joyce Robinson, curator at the Palmer Museum of Art; and Heather Davis, independent scholar. "We hope the exhibition offers viewers a new perspective — more than one, actually — on a material so common that we don't think about where it comes from, how we use it, how it is impacting the environment, local and global ecologies, and even our own health," said Wagner-Lawlor. "The exhibition explores different sides of our lives with plastic, balancing the ecological concerns many artists bring to their work, with their simultaneous appreciation of the versatile material properties of plastic." Pam Longobardi, Economies of Scale, 2013, microplastic, plastic, hydrocarbons, and steel, 24 x 208 x 30 inches. Courtesy of the artist and Hathaway Contemporary. Photo credit: Mike Jensen. Willie Cole, Chandelier, 2015/2017, plastic bottles and metal armature. Image: Willie Cole. Dianna Cohen, "postconsumer mandala," 2001, plastic bags, handles, thread, and pushpins. Photo: Dianna Cohen. "The curators have done a marvelous job of creating an art exhibition that’s more than an art collection," said PPC CEO Dianna Cohen. "The exhibition includes a comprehensive education program that will inspire conversation and action to help us reevaluate this material that we currently look at as garbage and recognize it as a valuable material." After its time at Penn State, 'Plastic Entanglements' will travel to the Jordan Schnitzer Museum of Art, University of Oregon (Sept. 22–Dec. 30); Smith College Museum of Art (Feb. 8–July 28, 2019); and the Chazen Museum of Art, University of Wisconsin-Madison (Sept. 13, 2019–Jan. 5, 2020).